Holland & Barrett Goji Berries are found in the Himalayas and have been used in Chinese medicine for thousands of years! These little berries are great to snack on straight from the bag, however they taste great mixed up in smoothies, scattered on salads or added to your morning porridge, what creation will you make? 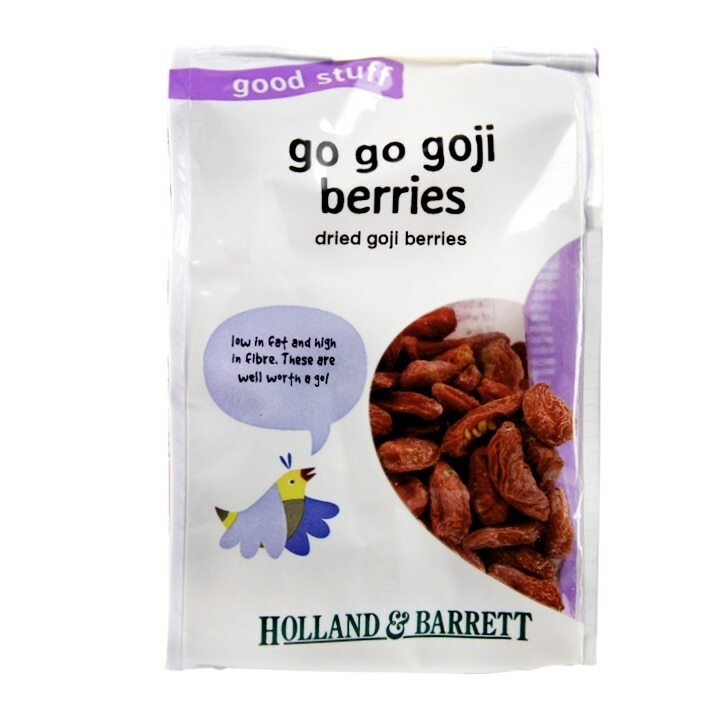 Holland & Barrett Goji Berries is rated 4.3 out of 5 by 30. Rated 1 out of 5 by Helen46 from Quality Bought it today. Awful quality. The worst Goji berries I had ever had! Some of the them were overdried, brittle. Some of them loked blackish and were bitter. Overpriced. Will not buy it again. Rated 5 out of 5 by BERRY BOY from GOJI BERRIES WE HAVE TRIED ANOTHER SUPPLIER BEFORE CHANGING TO YOURSELVES THE PREVIOUS ONES WERE DUSTY AND HARD SINCE CHANGING WE FOUND YOUR PRODUCT TO BE VERY MUCH BETTER IN QUALITY AND TASTE THANK YOU.